Don’t send it to landfill, bring it to us or call and we’ll collect! 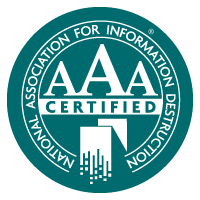 NAIDS is the international trade association for companies providing information destruction services. Rip-It Security Shredding & Recyclers is a member of the Association.